ESP is provided by the University of Southern California (USC). ESP provides calibrations for MEGS sensitivity changes and higher time cadence (0.25-second). 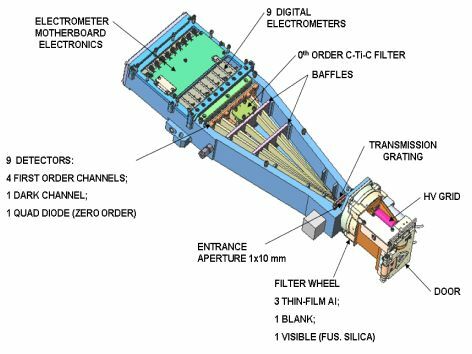 The ESP is very similar to the SOHO SEM instrument. This picture shows the optical layout for the ESP. 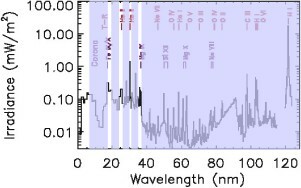 The solar radiation enters in from the right, goes through an Al-C filter, slit, and transmission grating, and then different wavelengths are diffracted to different photodiodes.